The Municipality of Trojes is known as the “recovered zone of El Paraíso, as it once was part of the Republic of Nicaragua. Due to the influx of contra rebels into this area in the 1980’s many people fled the area lowering land values, and perhaps more importantly, the region has been left without any support from any central or regional government. 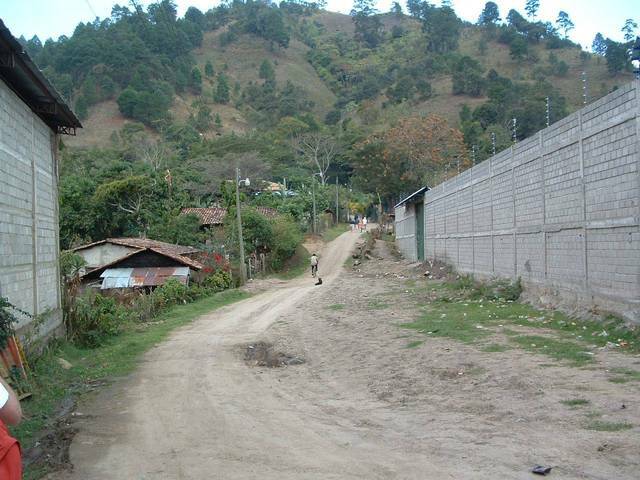 This is one of the poorest regions of Honduras. According to the National Center of Statistics, this region has 5823 homes from which 4724 are in the rural region of this municipality. In the rural area 3339 of the houses do not count with a water system and use water from the river or streams (most of them contaminated. )The sanitation situation is not any better as 53.59% of the houses do not have a place to dispose their feces. 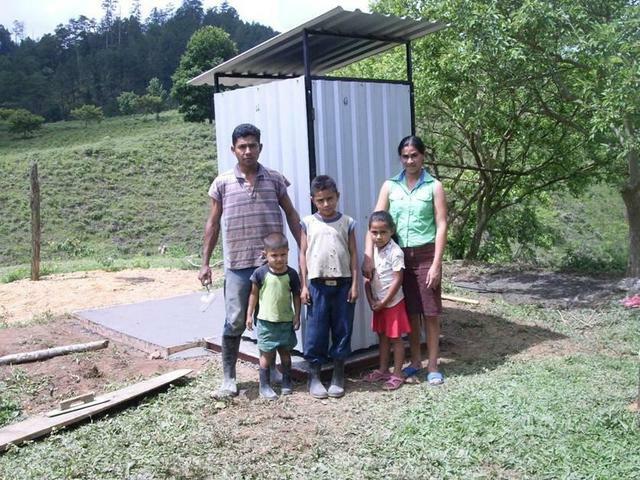 This means that almost half of the half the population of Trojes is without proper sanitation. The water sources are often superficial or very close to ground level; as rainwater travels overland it picks up bacteria, parasites, etc. and ultimately contaminates the source. Further contamination often occurs through inadequate piping systems and improper storage, both at the community and household level. The first phase of this project with UNICEF is to provide clean water and sanitation to 32 communities by June, 2112. PWW’s 6 year goal is to reach all those communities requesting help. For this specific project – 175 people will benefit. 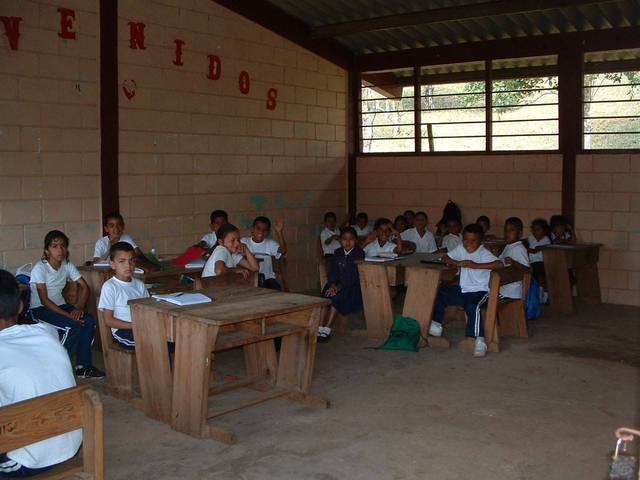 There is one school in this comminity with about 100 children.
. For this specific project, 25 households will benefit. One person per every ten households will be trained as “community stewards” who will help maintain the filters and will provide follow up. We will provide hygiene education to every household, will train community stewards, and provide training to water committees and local hygiene committees. This project will be structured to focus on capacity building of community leaders and community agents to deal with challenges that will continue to arise in the future. Pure Water for the World was approached by UNICEF to implement a bio sand filter project in this region. UNICEF conducted a local needs assessment to determine the solution which would be accepted by the community. The bio sand filter was the method that was selected. PWW has found that the most feasible, effective and economic approach to improving water quality in developing countries is through household water treatment and safe storage. Specifically, they have found the bios and filter to be most suitable. 5.	can be rapidly deployed and taken up by vulnerable populations. This project will focus not just on HWTS but also hygiene education and sanitation. Recent studies show that “The most successful projects (measured primarily by time saved and health benefits to communities) focus not just on supplying water, but also on sanitation and hygiene, which often are more immediate causes of death or illness” . This will be a holistic project, targeting more than one type of improvement to further increase the health impact. This project will address water treatment via the bio sand filter, sanitation via latrines and hygiene via formalized hygiene workshops and the training of a hygiene committee. The project is designed to be sustainable such that after project completion the benefits of the project will be ongoing without technical or financial assistance from outside of the community. Many aspects and components of the project contribute to its sustainability, including: appropriate technology, community ownership and involvement, extensive education of all beneficiaries, capacity building of community committees, etc. PWW wanted to provide more than just clean water as improving health required sanitation and hygiene education. PWW added these critical elements to the project with UNICEF. “Combating waterborne disease at the household level” (World Health Organization, 2007). This is one project. The funding is split into parts. UNICEF provides the funding for the filters, buckets and parasite treatment. PWW raises funds the personnel, latrines, education and training as well as manages the project. We involve the community and families by hosting hygiene workshops. We also train community stewards to ensure that the filters and latrines are being used properly and who can maintain the filters and latrines. Prior to the launch of the project, community leaders met to discuss the goals of the project and they provided their input. The final project was designed based upon their input. By training individuals to become “community stewards” who will learn how to maintain the filters and latrines, the project is sustainable. Also, each household pay $8.00 for filter and latrine which funds the monitoring of the household for 2 years. UNICEF will fund filters, bottles, filter training. PWW will fund management oversight. in kind Household members receiving latrines must provide labor by digging the pit and helping install the latrine. For this project, the amount is 500. My question concerns the latrines. Southern Honduras has a climate pretty similar to Nicaragua and intense rain periods after midMay. How high does the water table reach during that time. Does the septic pit work then? Also I wonder how much and how frequen maintenance is required to keep the lined filter pit working? 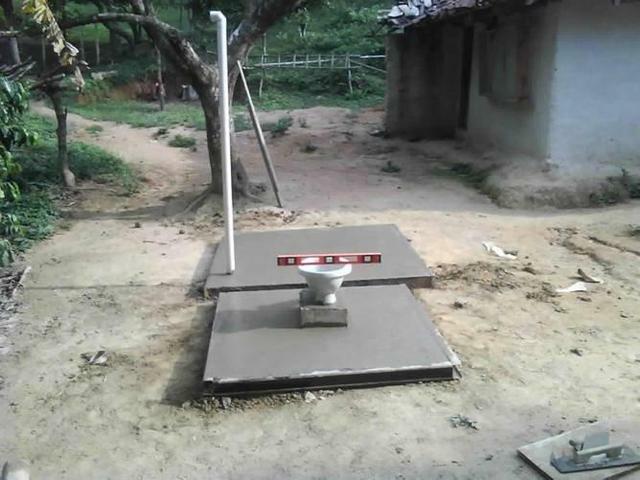 Can you give some references on this type os latrines? 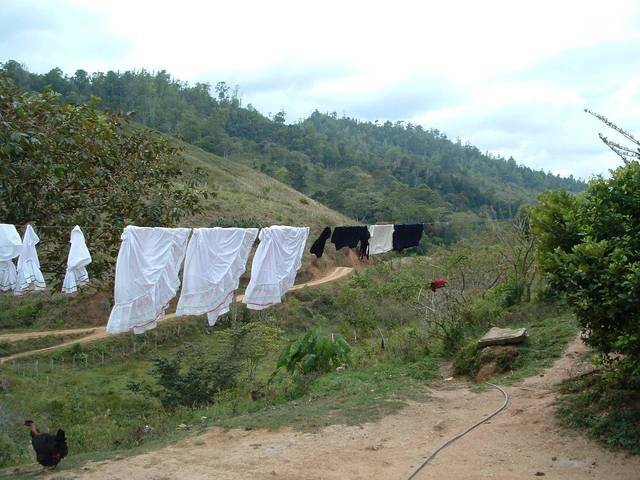 Does Honduras has a clear policy with respect to individual sanitation ? As far as I know, most governments and financing agencies now admit/recommand that individual sanitation should be mainly financed by the households, except for very poor households. What is the PWW policy on this ? Do we have any selection criteria to prioritise this community instead of another ? The Ministry of Health does not have a policy on invididual santitation.. they rely on other organizations to do that. 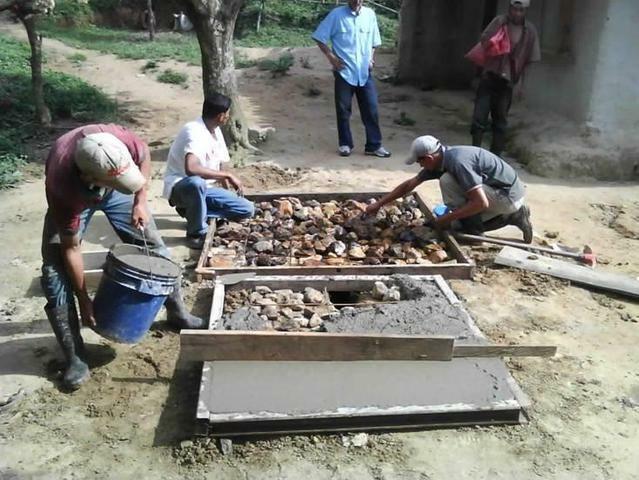 We expect families to pay a modest amount for the filter and provide sweat eqiuty for the latrines-- if they are physically able, they dig the pit. For this project, UNICEF selected the communities. In other regions, we rely on the deparment of health and the water board to select the communities. Hi, How is the current political turmoil affecting your work and that of your partners? Thanks. How is the current political turmoil affecting your work and that of your partners? The political situation is relatively calm. The former president, Zelaya had set up a "camp" on the Nicaragua border. This camp is somewhat near Trojes. There is a 6-6 curfew --but work is still proceeding as planned. 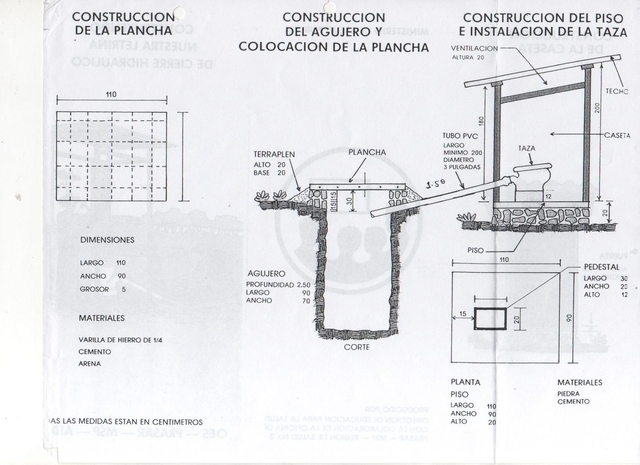 The photos and the design of the latrine are now attached to the application as is the the cross section of the filter. It is a flush latrine with a septic pit. Hope this helps. Thanks Carolyn. This clears up my doubt about latrine or flush toilet. I have seen this fush toilet design near San Pedro Sula in the past and wish we could get the "china pot" here in Guatemala. Have you found this septic pit adaptable for clay soils and if not how do you deal with this type of soil? Thanks Carolyn. This clears up my doubt about latrine or flush toilet. I have seen this fush toilet design near San Pedro Sula in the past and wish we could get the "china pot" here in Guatemala. Have you found this septic pit adaptable for clay soils and if not how do you deal with this type of soil? Yes, latrines are adaptable to clay soil. Prior to starting this project we conducted a perculation rate test. 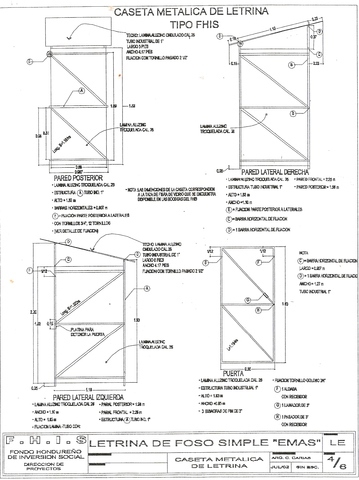 We also select the best place to install the latrines -- usually the highest point.. The community stewards portion is very interesting and similar to our community educators. One question there, as our program is still relatively new: how do you deal with turnover in the community stewards? We haven't answered this question yet on our side, although ours is new enough (2 years) that we haven't had to deal with it much yet. Are the stewards trained in hygiene as well as maintenance? How long have you been implementing the biosand filters? We don't use that technology, so I wonder how long (in time) of a sample you have of successful projects. i.e. how long do they last? How effective have the stewards been in maintaining them without Pure Water intervention (after the 2 years)? PWW has been working with bio sand filters for over 10 years. The key to success is not just the method of filtration but eduction and monitoring. We have learned alot in those ten years. We are constantly working to improve the education aspect and monitor more homes. One other thing -- before installing the latrine and bio sand filter, the community steward teaches users on proper hygiene. I think that this selection of technologies is very good and coupled with monitoring by the NGO should have good sucess in providing confinement of human feces and a much improved water quality. Providing these services is difficult in remote areas, but this group seems to have a well organized program to meet the need. 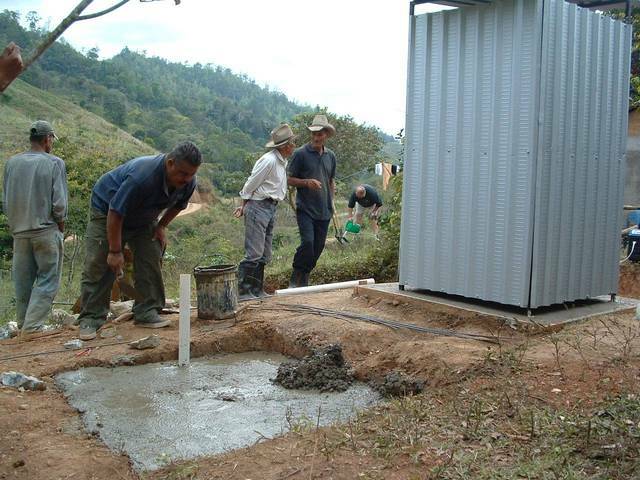 The latrine design is interesting and a lot of attention is given to training and hygiene education. My reservation is that I don't see how personal hygiene can be taken care of if the source of clean water is household filters- meaning that this type of solution for water access limit excessively the amount of water that needs to be used for washing (for instance of the hands of mothers after they have taken care of babies and before they cook). So the good training may run up against limitation of water available. I appreciate the focus on community mobilization and hygiene training. On the other hand, it looks a bit strange to fund the latrines at family level for nearly a 100%. So it's not really clear for me how we can select those beneficiaries (remember we have 2,6 billion people waiting for a latrine) and how they will sustain and replace their latrine in another few years. The water filtration section of this project is strong. But sanitation and more importantly the hygiene practices following the sanitation is not clear. Am eager to learn from the results. Also am not clear about the PWW strategy in the area: is the plan to follow other agencies (like UNICEF), whose strategy should also be clear, or a broader commitment to the region?